PricenTime.com is a stock and commodity market research firm based on the cyclical models developed through a combination of math and physics. Our mission is to provide unbiased forecasts through the use of our advanced technical models while educating the public on the underlying trends within the market. We are firm believers of the markets’ discounting mechanism. All is priced into the markets. The price movements give more insight than the underlying fundamental factors. It is fundamentals that move the markets, but unfortunately the fundamentals are almost always the most bullish and most tempting at tops, and the most bearish at bottoms. We do not want to buy tops and sell bottoms, but without a study of the markets we are often oblivious to when tops and bottoms are being made. Why does the market top or bottom at a particular price and time? We have devoted many years researching the previous market tops and bottoms. There is only one unique number for the top or the bottom. The numbers appear to be random at first, but they reveal hidden orders in the markets. The numbers reflect the summation of all the human fear and greed energy in the universe. The highs and lows are the climax levels of a market that occurs at certain frequencies. We have studied Walter Bressert’s original cycle methodology in depth since the 1980’s. We attribute our foundational work to Walter Bressert, who is credited with introducing “timing cycles” into the futures market in the late 1960’s. The timing element in addition to chart pattern recognition is Walter Bressert’s innovative approach that has been adopted by many successful traders in the last 40 years. 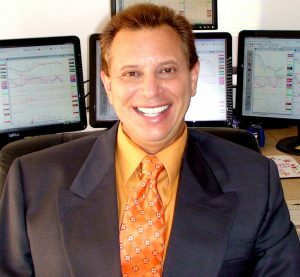 We have also fine tuned Stan Weinstein’s strategy in selecting winning stocks based on the relationships between price and volume. The mastery of open range breakout, classic pivots and pivot range theories enables us to issue intraday real time trade alerts at the optimal entry. Our unique trading and investing methodologies are numbers driven, devoid of emotions. All our trades have defined risk with price and time parameters. We have done the homework. You don’t need to guess what to do. You take the trades that fit your risk tolerance. It is our sincere hope that you realize the value of our timely and actionable research. Use it profitably. Start to stay on the right side of the market, take control of your financial freedom. Best of luck in your trading endeavors.